Welcome to RandallRealtors.com. On this site,you can search available homes for sale in the best neighborhoods with our home search form. Also, with our simple-to-use search you can easily register to save your search criteria and favorite properties. Randall Realtors is one of Southern New England's leading real estate firms with 8 offices and 175 agents covering Rhode Island real estate and Eastern Connecticut real estate. With a 98% client satisfaction rating, we specialize in the sale of waterfront, village and luxury homes. Founded in 1977, our company is a division of The Randall Family of Companies, a RIS Media Power Broker and a Real Trends Top 150 Real Estate Company. Our company also handles the most vacation rental properties in Southern RI and operates a highly successful commercial group. High quality client service is at the heart of our company's culture. When paired with our in-depth market expertise, our cutting edge technology and our extensive marketing capabilities, we are able to offer our clients an unparalleled service experience. Randall Realtors invites you to take a visual tour of our communities through a new collection of community profile videos. This series offers a glimpse into the unique lifestyles offered by the communities where we reside in Rhode Island and Connecticut. Look here for additional videos to be added for you to enjoy and explore our area. Our team of experienced REALTORS® are waiting to help you buy or sell your next home. 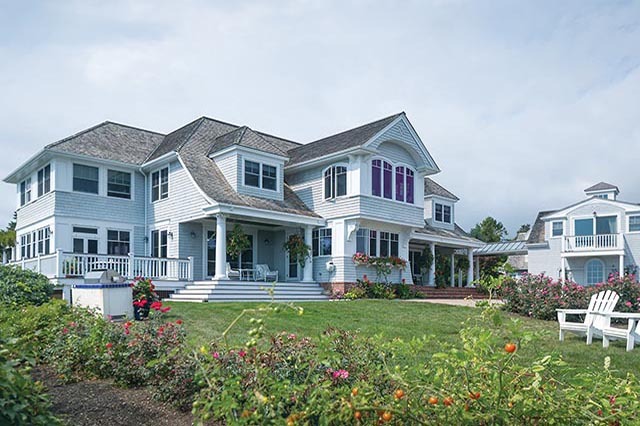 View our Rhode Island and Connecticut luxury properties. Making a big move? Our experienced relocation staff will help you make a positive transition.